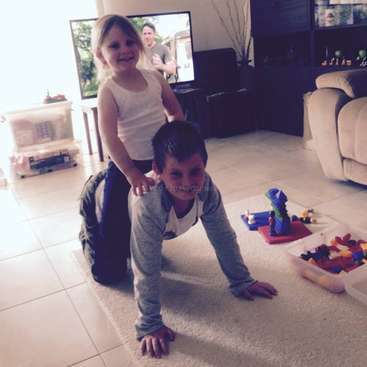 Melbourne- assist our family with organization in our new house, Frankston South, Australia. 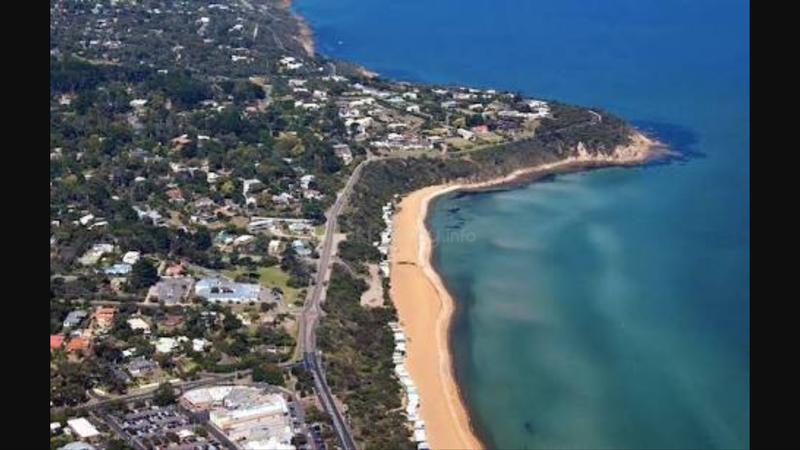 We live on the beautiful bayside (Frankston South) between Melbourne and the Mornington Peninsula. We are inviting 1 female to come and help. We have recently moved house so the help will be assisting us to create a new positive organized space with minimalism in mind! The usual work is mostly light jobs in and around the house eg. cooking meals, child minding, cleaning, washing, and some garden maintenance. Someone that's responsible, flexible and shows initiative is preferable. Our new house is walking distance from Frankston train station (2km) and there is also a bus stop right out the front of our house if you want. The new house has a pool (great for summer)!! You would have your own bedroom & bathroom with linen and towels provided. Shared space is kitchen, lounge and dining room. We will provide food and where possible help you get to those spectacular places in the region. We are happy to help you with your English language too!! As a couple we love to travel internationally, and enjoy the company of the traveling community. We love the beach, walking through the national parks and cooking vegetarian food. The day you arrive we can pick you up from Frankston Train Station about 55 minutes train ride from Melbourne CBD. We will provide food and where possible help you get to those spectacular places in the region. We love the beach, walking through the national parks and cooking organic food. Creative organization!! The usual work is mostly light jobs in and around the house eg. cooking meals, child minding, cleaning, washing, and some garden maintenance. 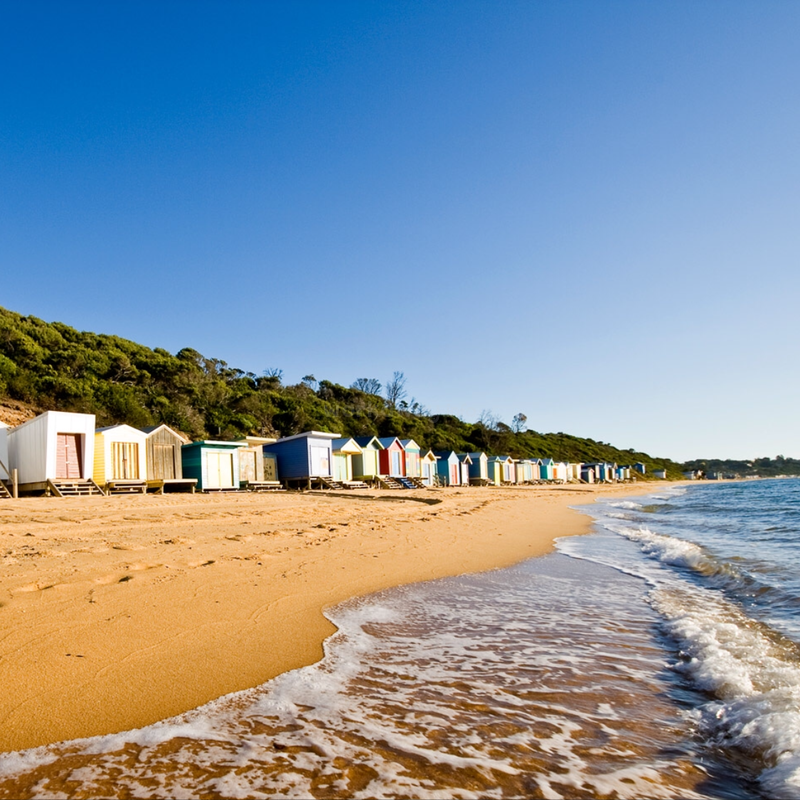 The Mornington Peninsula has so much to offer! We love getting into nature everyday....it could be walk in the bushland or along the beach, or just enjoy some time strolling in the streets of our local villages. Melanie instantly became a part of our family with her open heart, inquisitive mind and eager traveling soul. We have a 3 year old son who just adored the attention she gave him & loved his ‘High 5’ and hug every night from Meli, along with all the playtime they shared, indoors and outdoors. Two months flew by and we’re so grateful to have hosted… read more Meli. We would love to have Meli back anytime as a WorkAway or friend to share more fun together! Meli explored the city on the train from our house; caught the bus to Sorrento on many occasions, going all the way to Point Nepean National Park; and walked through our local estuary to the beach and shops. 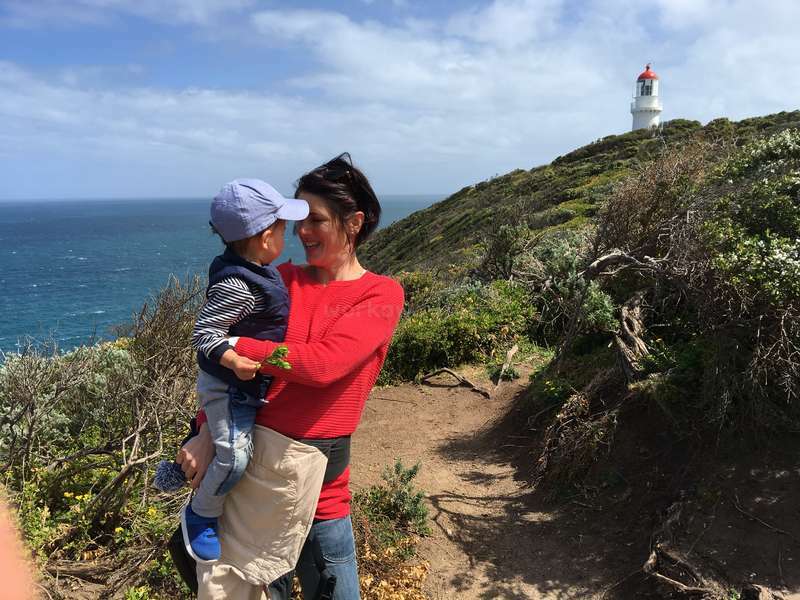 Together we explored the Briars Homestead; Arthur’s Seat; Montalto’s vineyard; The Green Olive estate; Mornington beaches & township; The Peninsula Hot Springs; Point Leo; Balnarring animal farm and Mt Martha estuary. Melanie immersed herself in an English speaking environment, maintained all of the household duties eg. Au pair- child minding, cleaning, washing, gardening, meal preparation, cooking, grocery shopping, organization, and baking. The most valuable attributes Meli shared with us was her initiative, willingness to work, great sense of humour, honesty, great team work, independence, consideration, culturally sensitive, and an ability to intuit & adjust to a new environment/home. We thoroughly enjoyed a strong coffee to kick start the mornings and a glass of wine in the evenings to wind down. Sharing stories whenever we could; laugh together and set traveling goals was most enjoyable. I can only hope & wish that my now 3 year old is as worldly and open as Meli is at her 19 years of age. Her parents and family must be very proud of her courage, trust, adventurous spirit and passion for learning. Meli naturally balanced a new environment by respecting our privacy as a couple/family and amazingly timed participating and joining us at all the right times, with an open heart, without judgement, sharing her ideas, knowledge, inspirations, dreams, experience, asking great questions, and listening with her inquisitive mind. We can highly recommend Melanie as a guest/WorkAway helper in any home, worldwide! We wish her all the best on future travels and adventures. I had such an amazing time with Alicia, Nick and their lovely son Patrick!! I couldn't have had a better start for my trip. I felt comfortable from the first day! Nick and Alicia are just great. They are open-minded, warm-hearted and funny!! I felt like I was a part of the family and and no matter what worries I had I could always talk to them! We… read more enjoyed dinner together (Nick and Alicia are amazing cooks! ), we laughed a lot together as a family and we had such inspiring talks. In general, the family has inspired me with their positive attitude towards life. They really helped me planning my time in Australia and because they are travelers by themselves, they gave me helpful advices and support. I also had the honor to spend a lot of time with the wonderful Patrick! He is such a lovely and funny boy. I had the pleasure of staying with Alica, Nic and their beautiful son Patrick for almost four weeks. I could not have asked for a better start for my journey of traveling. Alicia and Nic are truley brilliant, they are really inspirational and have such warm, open-minded and caring view on people, the world and life in general and opened their… read more home and heart to me. I loved their company, we enjoyed dinners, amazing chats and great laughters, I felt home from the first day. We had a really good communication about everything and I felt like being on the same page with them. Alica and Nic gave me amazing and inspirantional tips to explore the area and Australia. Mornington itself already got a lot of beautfiful nature to offer, amazing hikes and beaches, it does feel like vacation. I am now three month into my travels and this stay was still a highlight. The time was a real delight and I love to go back to visit and catch up. Andrea is a Help Angel! We hosted Andrea at our home for one month on the Mornington Peninsula in Victoria, Australia. The time went by so fast...time fly's when you're having fun :)! Andrea became a part of our family, as we have a 2 year old toddler who just adored the attention she gave him. She interacted with myself and my husband with… read more respect & interest. We shared many travel stories, beautiful dinners, and laughed a lot! During her time with us Andrea immersed herself in an English speaking environment, maintained all of the household duties eg. Au Pair- cleaning, dusting, washing, gardening, meal preparation, cooking, grocery shopping & baking. The most valuable attributes Andrea showed us was her willingness to work, great sense of humour, honesty, independence, and her ability to intuit & adjust to a new environment/home. One of her talents is photography, she has a very natural eye/skill with the camera. This allowed us to share our hundreds of travel photos with her to organize them into 'forever albums'. Whilst staying with us on the Mornington Peninsula, we went for walks, spotted kangaroos, visited local beaches and enjoyed the shops in the nearby villages. We can highly recommend Andrea, as a guest/Workaway Helper in any home, worldwide! She is our first native Hungarian to stay with us and has left a positive lasting impression. I am so happy I had the possibility to stay with this lovely family! You feel home as soon as you walk through the door indeed. I was surrounded by beautiful nature, which is a jackpot for a person like me! Hearing kookaburras laugh every single day and seeing cockatoos happily munch on fruits from the trees in the backyard felt like magic! There's a lot to do in your free time when you are there. Stunning beaches and amazing views, beautiful towns that you will fall in love with. Alicia & Nick were always happy to give me a lift to the places nearby, which I truly appreciate. I've spotted my first kangaroos with Alicia & Paddy and it was super special! I'll never forget that. 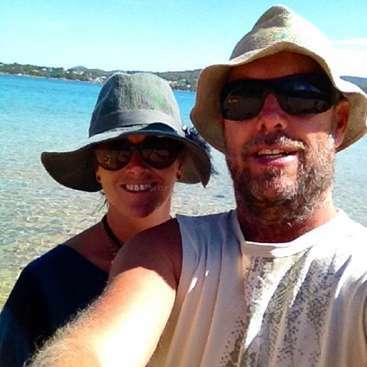 Anyone will be lucky to stay there, Nick & Alicia & Patrick will make your time in Australia really memorable, guaranteed. Thank you guys for the tips, advice, help and care that you've given me! Jessi is an absolute angel! She is dynamic, intelligent, loving, sincere and exudes enthusiasm!! We hosted Jessi for more than two weeks at our home on the Mornington Peninsula in Victoria, Australia. The time went by so fast. Jessi became a part of our family, as we have an almost 2 year old son who just adored the attention she gave him. She… read more interacted with myself and my husband with respect & interest. We shared many travel stories, beautiful dinners, and laughed a lot! During those weeks, Jessi immersed herself in an English speaking environment, maintained all of the household duties eg. Au pair- child minding, cleaning, washing, meal preparation, cooking, grocery shopping, organization, and baking. The most valuable attributes Jessi shared with us was her initiative, willingness to work, great sense of humour, honesty, great team work, independence, consideration, culturally sensitive, and an ability to intuit & adjust to a new environment/home. She is mindful and acts consciously towards our global environment. Whilst staying with us on the Mornington Peninsula, we went for walks and enjoyed the shops in the nearby villages; visited a winery, and enjoyed watching a movie in the evening. We can highly recommend Jessi as a guest/Helper in any home, worldwide! I can't add a lot more to the feedback before, that's pretty much what I experienced, too. But what I really want to outline is that I felt like home from the very first day! As Nick used to say: it's nice to have a home away from home. I definitely found it in this family. Looking for hiding turtles with Patrick, having a chat with Nick in the… read more car or watching a good movie with Alicia while having a glass of wine, everything felt like being at home! So the work didn't really feel like work at all! Also I appreciated the healthy and varying vegetarian food we cooked. What I really want to say thank you for is that my friend Nina was allowed to come and stay with me after one week, too. We both helped during the day and could spend the evenings together. And she was also integrated into their family very well. Thank you so much for all the ideas, stories, impressions and love you shared with us! We hope, we will meet you again! Paula is an absolute angel! She is dynamic, intelligent, loving, sincere and exudes enthusiasm!! We hosted Paula for four weeks at our home on the Mornington Peninsula in Victoria, Australia. The time went by so fast. Paulina became a part of our family, as we have an almost 2 year old son who just adored the attention she gave him. She interacted… read more with myself and my husband with respect & interest. We shared many travel stories, beautiful dinners, and laughed a lot! During the 4 weeks, Paula immersed herself in an English speaking environment, maintained all of the household duties eg. Au pair- child minding, cleaning, washing, meal preparation, cooking, grocery shopping, organization, and baking. The most valuable attributes Paulina shared with us was her initiative, willingness to work, great sense of humour, honesty, great team work, independence, consideration, and an ability to intuit & adjust to a new environment/home. Whilst staying with us on the Mornington Peninsula, we went for walks and enjoyed the shops in the nearby villages; visited a winery, and spotted her first kangaroos in nature!! Beyond our home, we also went camping at Wilson's Promontory & flew to Hobart together for the ultimate Au Pair help we could have wished for. We can highly recommend Paula as a guest/Helper in any home, worldwide! We stayed with Nick and Alicia for nearly three weeks and we couldn't have asked for better hosts. This was our first workaway in Australia and they welcomed us into their beautiful home immediately. They live in the cutest little coastal town with amazing beaches, ocean walks and great views all around. Nick and Alicia were both super easy-going… read more and made us feel at home with their family. Our work included household chores- cleaning, organizing, laundry, cooking and looking over their adorable son Patrick! The work was simple and we were well rewarded for our duties. There's so much to explore in your freetime and we would have definitely stayed longer had our schedules allowed! On days off, we took trips to nearby Sorrento, Portsea, Mornington shops, Melbourne, a local brewery and winery and were even able to spend time with their extended family in Bendigo! As it was ouur first stop in Australia, both Nick and Alicia gave us some amazing tips and ideas or where to go and what to do. So helpful!! We still keep in contact with them and greatly appreciate everything they did for us. We had an amazing stay with Alicia, Nick and Patrick and would highly recommend them to anyone looking to spend some time outside the city in a beautiful coastal area with a great family! Thanks guys, miss you!! Mary & Tallie are absolute angels! They are dynamic, intelligent, and exude enthusiasm!! We hosted Mary & Tallie for almost three weeks at our home on the Mornington Peninsula in Victoria, Australia. The time went by so fast...time fly's when you're having fun :)! Mary & Tallie both became a part of our family, as we have an 14month old baby… read more who just adored the attention they gave him. They interacted with myself and my husband with respect & interest. We shared many travel stories, beautiful dinners, and laughed a lot! During the 3 weeks, they immersed themselves in a new environment, maintained all of the household duties eg. Au pair- child minding, cleaning, washing, meal preparation, cooking, grocery shopping, organization, and baking. The most valuable attributes Mary & Tallie both share is their initiative, willingness to work, great sense of humour, honesty, great team work, independence, considerate, and an ability to intuit & adjust to a new environment/home. Whilst staying with us on the Mornington Peninsula, we went for walks and enjoyed the shops in the nearby villages; visited a winery & local brewery, and spotted their first kangaroos in nature!! We can highly recommend Mary & Tallie as a guest/Helper in any home, worldwide! Alberica & Eleonora are absolute angels! They are dynamic, intelligent, and exude enthusiasm!! We hosted Alberica & Eleonora for two weeks at our home on the Mornington Peninsula in Victoria, Australia. The time went by so fast...time fly's when you're having fun :)! Alberica & Eleonora both became a part of our family, as we have a 13month old… read more baby who just adored the attention they gave him. They interacted with myself and my husband with respect & interest. We shared many travel stories, beautiful dinners, and laughed a lot! 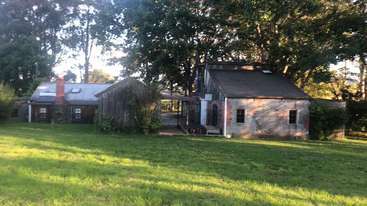 During the 3 weeks, they immersed themselves in an English speaking environment, maintained all of the household duties eg. Au pair- child minding, cleaning, washing, meal preparation, cooking, grocery shopping, organization, and baking. The most valuable attributes Alberica & Eleonora both share is their initiative, willingness to work, great sense of humour, honesty, great team work, independence, consideration, and an ability to intuit & adjust to a new environment/home. Whilst staying with us on the Mornington Peninsula, we went for walks and enjoyed the shops in the nearby villages; visited a winery, and spotted their first kangaroos in nature!! 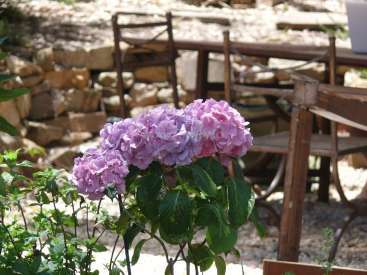 We can highly recommend Alberica & Eleonora as a guest/Helper in any home, worldwide! 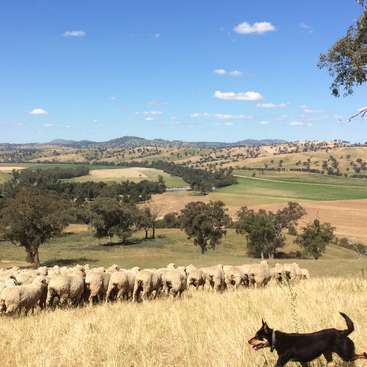 Get a taste of the Australian farming life.